From Back to the Future to iRobot, the cars of the future seem pretty snazzy: they drive themselves, time travel and fly. October 21, 2015 came and went, though, and cars still aren’t flying. But we’re further along than we could have imagined, and although our everyday transportation isn’t flying, they are starting to drive themselves. Driverless car technology got its start ages ago in the 1860s when Robert Whitehead developed a self-propelled torpedo. At the 1939 New York World’s Fair, General Motors debuted their Futurama exhibit “Highways & Horizons”—a scale model of the future world 1960! The model displayed automated highways that featured roads in trench-like lanes. Come 1950, GM’s Firebird was using buried cables that would send electronic impulses to the car’s onboard receivers. The next jump for driverless cars was very different from the imaginations stemmed in the mid-1900s. Rather than changing highways and cars, newer technology in the late 1900s narrowed its focus onto cars themselves and how we could develop them into a more autonomous vehicle. 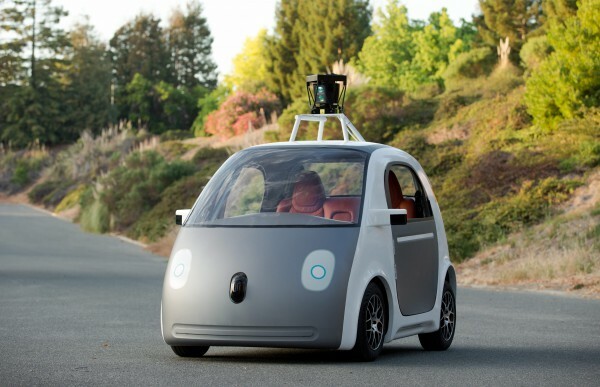 Some of the first successful autonomous cars used cameras all over the exterior to detect the white lines on streets. As the millennium rolled in, so did superior technology. Google’s Priuses and Lexus SUVs combined the camera technology of the first driverless cars with LIDAR, radar, odometry and data from Google Street View. Google’s project cars have successfully driven and negotiated tricky streets throughout San Francisco, including Lombard Street. LIDAR is laser and radar combined and the distance of an object can be measured by projecting a laser beam onto it and then detecting the return signal. Odometry uses data from motion sensors in order to estimate the change of an object’s position over time. The camera technology is now considered computer vision and is the process of converting visual images into descriptions that will interface with other processors thereby producing the correct action to take by a machine. Each of these different technology process is meant to then be analyzed by a control system within the car, which will then combine to form driving decisions. To sum it up: the driverless car is literally just completely covered in sensors. The hope of course is that driverless cars will be safer and more efficient than those controlled with a human touch, but it is important to note that even driverless cars have their bad days and accidents happen.